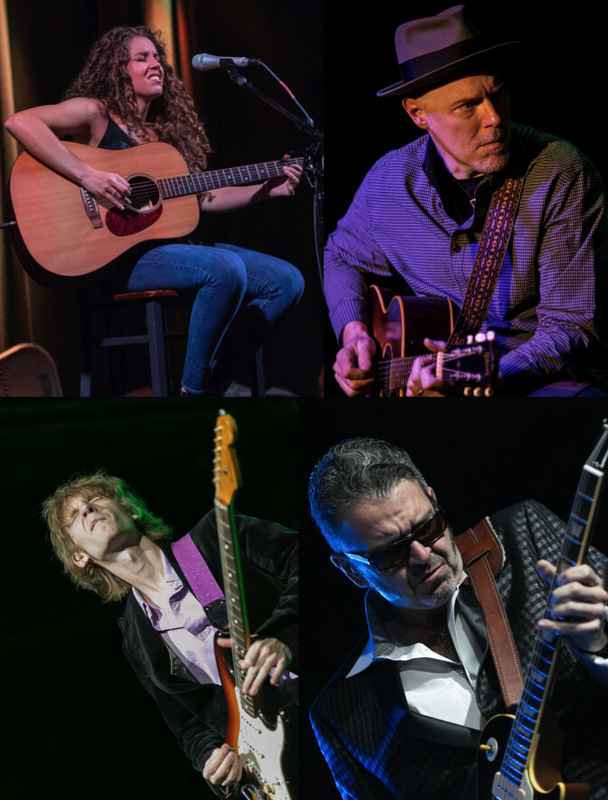 Sean Carney’s BluesFray Tuesday series continues with a special “Blues for a Cure” benefit show, featuring Sadie Johnson, Noah Wotherspoon, Hadden Sayers and Sean Carney. Blues For A Cure was created in 2007 to honor those afflicted with cancer, fund cancer research and survivor programs, and to perpetuate the great American art form of Blues music. There will be a limited number of VIP tickets to the event, which will include prime reserved table seating, along with a private reception at The Light of Seven Matchsticks, the speakeasy below Natalie’s. The VIP ticket holders will be treated to appetizers, a Watershed Distillery Spirits Tasting, a preview of auction items with early bidding, a copy of the Blues For A Cure CD and a meet-and-greet with Sadie, Hadden, Sean and Noah, who will also perform at the reception. Those purchasing regular reserved table seats will also be given a complimentary copy of a Blues For A Cure CD. Sadie Johnson first picked up the guitar at the age of 6 and began playing blues at 13 at a local blues bar in her hometown of Bloomington, Indiana. She has played with Samantha Fish, Kate Moss, Jimmy Carpenter and Blues Traveler, just to name a few, and she is now stepping out onto the national stage. Noah Wotherspoon has been immersed in the blues and mesmerizing audiences with his soulful guitar playing since he was a teenager. In 2015, he received the Best Guitarist Award at the International Blues Challenge and the band placed 2nd in the finals. Born in Nacogdoches and raised on a steady diet of Texas Roots and Blues music, Hadden Sayers latest album Dopamine Machine features 11 songs performed in both full band and solo acoustic arrangements. Hadden is nominated for the 2019 Acoustic Artist of the Year by the Blues Foundation. An internationally known Bluesman, Sean Carney is entering his third decade as a professional blues guitarist and vocalist. He is a noteworthy, sophisticated master of tone and taste with a broad appreciation for the music before him and around him and a knack for turning out interesting songs. Sean Carney’s BluesFray Tuesday is sponsored by The Middlefield Banking Center, with Central Ohio locations in Dublin, Westerville and Sunbury. The series is held on the first Tuesday of each month, featuring Sean as host and performer, along with a variety of national and regional blues acts.